Are the teams you manage winning teams? Any number of situations might call for an overhaul of your team-building approach. Perhaps your organisation is calling on a newly-minted team to meet a specific business challenge. Maybe you've taken the helm of an established, but underperforming team. Or, you might lead a virtual team, whose members are spread across different countries and time zones. Whatever the case may be for you, it’s critical to know what factors make teams work well. Dr. Gordy Curphy — a distinguished international I/O psychologist, researcher, and consultant with over 30 years of experience — brings us a new, powerful paradigm for understanding what the best teams are made of, called the Rocket Model™. 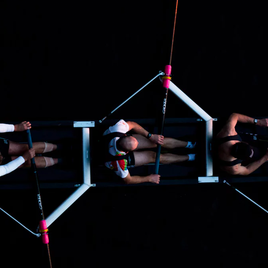 In this blog, we explain exactly how The Rocket Model helps executive leaders, managers and HR professionals create rock-solid teams, and bring existing ones up to new standards of excellence. What is the Rocket Model? The Rocket Model is a helpful framework designed to reveal the particulars of what makes a team functional and effective. It clarifies the key areas in which teams should always be strong, and provides leaders with tools for improving team structure and productivity in real time. The model is visualised as a rocket that’s made up of seven building blocks and surrounded by a ‘context’ cloud, which defines situational and environmental factors facing your team. The rocket’s blocks and the cloud represent the seven areas that great teams need to understand and excel in: Power, mission, talent, norms, buy-in, resources, morale and results. With the model, leaders can hone in on team flaws with greater accuracy. They can then make more efficient, targeted improvements that produce better relationships and work outcomes. To answer these questions, team members complete a questionnaire called the Team Assessment Survey (TAS-II). As team members provide personalised feedback in the survey, team strengths and weaknesses along all eight (including context) dimensions of the model are exposed. Leaders can then act to improve the weak areas. While teamwork is in progress, leaders can incorporate tested, proven group activities from the Rocket Model that fix bad practices and sharpen skills in the identified areas of concern. Ultimately, team members grow personally and become more unified in purpose, the whole team comes out stronger and better-resourced, and overall objectives are brought within easy reach. If you’re interested in The Rocket Model and its ability to turn average or underachieving teams into high-performing ones, you’ll want to attend Future Trends 2018, which takes place in October in Auckland, Wellington, and Christchurch. At this event hosted by Winsborough, you’ll hear from Dr. Gordy Curphy himself in his keynote presentation on building high performing teams. You'll learn about modern talent management theories and frameworks like the Rocket Model, and get to partake in workshop sessions to envision and map out the success of any team you manage. Don’t miss out on insights that can transform your team into a living engine of innovation and results. Get your tickets for Future Trends 2018 now.